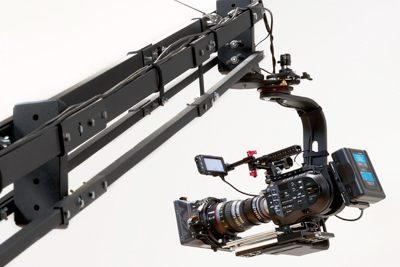 Using the hot head under-slung reduces the max lens height by 2 ft. Crane can be built to a shorter arm length for smaller sets. With a two man crew, allow 1 hour for load in and set up before camera mounting and balancing. 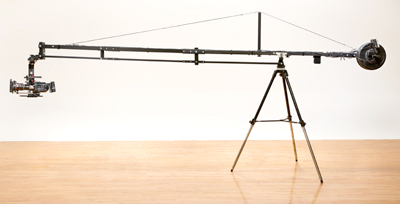 Allow an additional 15 - 20 minutes to mount and balance the camera. Everything breaks down and loads out in under 30 minutes.